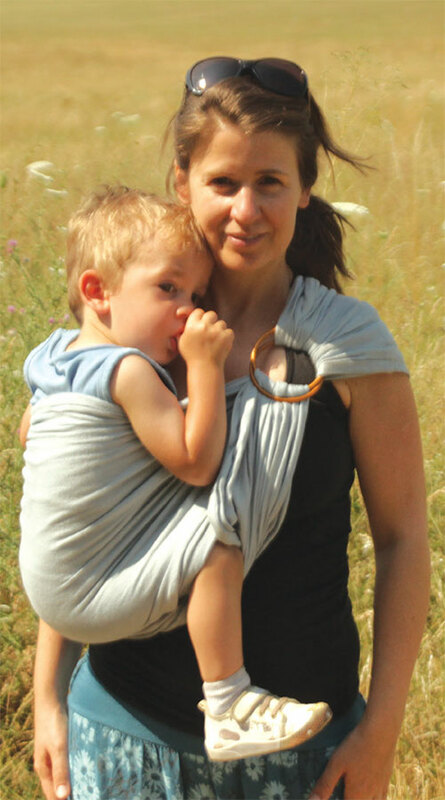 The Classic and ECO Premium Baby Ring Slings are a short, specially woven, one-sided carriers. 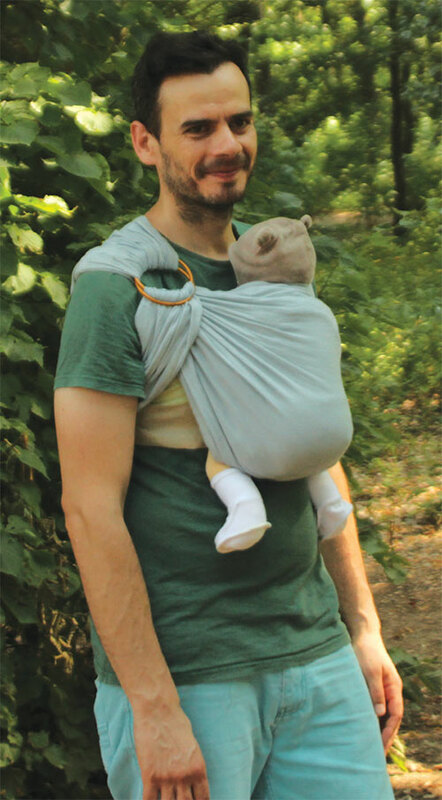 By lacing and pulling on the sling, you may set the carrier to the size of your baby. It is recommended to change sides from time to time because of the one-sided load on the carrier person. Among baby carriers, the ring sling is considered a small, easy to use tool. It is easy to place your baby in the sling, and remove her after. It simplifies discreet breastfeeding by making it easy to place the baby on your breast from any position. This sling is recommended from a new-born age until the age of 3.5 years, for wearing the baby in front, on your back or on your hip. Sizes: The slings are made in different lengths. With the help of our chart of sizes, you can easily find the best one for you. The suitable length depends on the person who is going to wear the baby. If more than one person is planning on wearing the baby, the best is to choose the sling suitable for the tallest family member. Help: In case of ECO Premium sling, one of the hems is double-stitched on the ring sling, making it easier to tell them apart. Rings: The rings of the slings are made of anodized aluminium. It is recommended to wash the ring sling in a washing bag because of the aluminium rings.